Back on the 21st of May I had a brief hour sweeping session along a wildflower field at the edge of Hexton Chalk Pit just about in Hertfordshire (As it border's bedfordshire strangely on both sides). 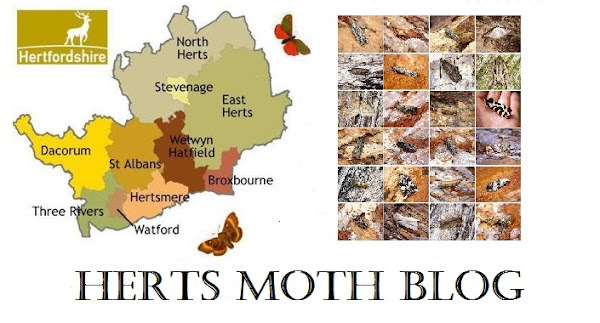 I ended up with a few nice moths including 3 firsts for me, Marsh Pug, Common Heath and Pancalia leuwenhoekellam, all three species quite scarce in Herts. If that wasn't enough I caught up with a little beauty that i've only ever seen once before, the tiny shiney Stephensia brunnichella. The weather was warm with highs of 22c but a little breezy which made netting tricky at times. There is still a Stigmella sp, Parornix sp and 2x Dichrorampha sps to gen det. Thank you Simon as always.